Osage City Parks and Recreation has opened the Osage City Aquatic Center for the season, and is offering summer swim lessons and water aerobics. Other upcoming activities include summer art camps and football camps. May 24-August 17, Monday-Friday, 1-8 p.m., Saturday and Sunday, 1-6 p.m.
August 18 – Labor Day, Saturday and Sunday, 1-6 p.m. (includes Labor Day). Lap Swim, Monday-Friday, 7-8 p.m.
Daily Admission: $3 (Age 4 & Above); age 3 & below FREE; age 65 & over FREE. OCAC Swim Pass Booklets: Swim Booklets on sale at Osage City Hall and are available for purchase at OCAC; 50 Swim Card Booklet, $50. Deck and pool rental reservations can be made with Corey Linton. Pre-school classes are for children age 3-5. Swim Lesson Forms are available at Osage City Hall, at Osage City Aquatic Center, and online at www.osagecity.com, click Parks and Recreation. Tuesday and Thursdays, 6:45-7:45 p.m. Starting the week of June 2 and continuing through the summer. Water Aerobics Instructor, Marcy DeWitt. Cost is $3 per class or One Swim Card. Instructor, Becky Weaver (USD 420 K-12 Art Teacher). 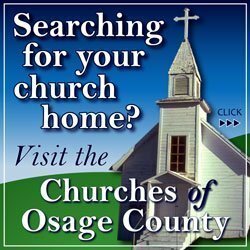 Camp location – Osage City Community Building (Jones Park). A child’s grade is based on their grade for the 2014-2015 school year. Messy Fingers, June 30 & July 1, 9-9:30 a.m.; $12 each, deadline June 16. Crafts! July 14 & 15, 9-9:30 a.m., $12 each, deadline June 30. Art Camp, June 16-19, 9-9:45 a.m.; $25 each, deadline June 2. Crafts Camp, July 7-10, 9-9:45 a.m.; $25 each, deadline June 23. Crafts Camp, July 7-10, 10-10:45 a.m.; $25 each, deadline June 23. Ribbon Weaving, July 2, 10-11am, $12 each, deadline June 18. Printmaking, July 16, 10-11 a.m., $12 each, deadline July 2. Grade is based on the player’s grade in the 2014-2015 school year. 7th & 8th Grade (OCMS), July 14-18, 9-10:30 a.m.; $25 per player. Kindergarten-6th Grade (Youth); July 21-25, 7-8:30 p.m.; $20 per player. 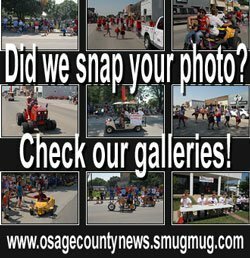 Osage City Parks and Recreation is looking for a volunteer to serve on the Parks and Recreation Advisory Board as an At-Large board member. This is a 2-year term, with the option for a second 2-year term (if desired). Meetings are the third Thursday of each month. Applicant deadline is August 1, 2014. Applicants must live within the USD 420 School District to be eligible. Contact Corey Linton, 528-4610 or [email protected] for a Civic Board Application. 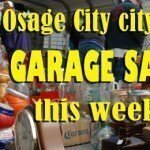 See OCPR online at www.osagecity.com: Click City Departments, then Parks & Recreation for program information, printable sign-up forms, schedules, and more! Or for more information, contact Corey Linton, recreation director, at 785-528-4610, or email [email protected].